Being healthy and staying fit is relatively simple. Avoid fatty junk foods and stick to a steady exercise routine. The problem isn’t knowing what to do–it’s taking action. Why is it so hard to go to the gym on a regular basis? It could be that the next episode is loading on Netflix and you’re comfortable in a warm bed. However, the biggest influence on your health is your community. To improve your diet, exercise habits and overall health, focus on these three essentials. 1. Choose the right friends. While studying the obesity epidemic, researchers Christakis and Fowler found that obesity, as well as many behaviors and emotions, can spread through social networks like the common cold. According to their study, if you have an obese friend, your risk of obesity increases by 45 percent. Interestingly, your friends who don’t know the obese person are 20 percent more likely, and their friends are 5 percent more likely. The communities that you participate in have a huge influence on your life. Everything from divorce rates to happiness are influenced by your community, so choose your connections wisely. 2. Look for community-based activities. A Harvard Divinity School study looked at fitness organizations like SoulCycle and CrossFit. According to the study, when it comes to community-building, fitness organizations could be the new churches. Church used to be the main place that people in the community gathered. However, over one-third of millennials today are not affiliated with a religion. Instead, they are more likely to be affiliated with a gym. Communities are formed at places like CrossFit, where members even organize fundraisers and drives to support members in need or causes they care about. Performing a shared activity like a class workout bonds people together and forms a community. For example, people don’t just come back to SoulCycle classes because of the workout itself, but because of the community that makes them feel like they are part of something greater. 3. Take a team-based approach. Communities are defined by their difficulty to enter. Pledging a sorority and fraternity is often an arduous effort. It can also be the same for certain fitness programs. Those who participate in activities like CrossFit often need to train for weeks to do the most basic moves. Many fitness groups are starting to shift their model so the barrier to entry is lower and activities are more community-based. For example, SWERVE cycling studios in New York will divide the class in to three teams, where each participant’s workout performance affects the team’s outcome. Participants are not only driven by their personal goals, but their team’s score. Australian F45 takes a similar team-based approach so that exercises are accessible to everyone. Workouts are broken into 45-minute classes. Members are often paired together throughout the workout and wear heart monitors to track and share performance with the rest of the class on a TV screen in the room. 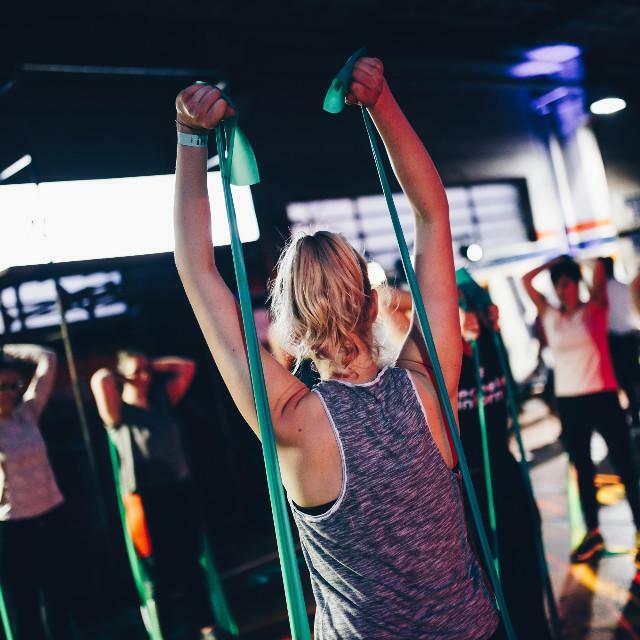 For those that want to push themselves harder and burn off those calories, classes like those at SWERVE or F45 can give you the push you need to take action, while bonding with the people around you. Taking a community-based approach can work for anything you want to do. If you want to get stronger, fit or healthy, find a group-based activity that will let you bond with others. If you want to improve in your career, join organizations like Young Entrepreneurs Council or Young Presidents’ Organization that brings together with other career-minded peers. If you want support in parenting, there are countless groups that can guide you. The key is to remember that the people around you influence the quality of your life. Whether you want to get in shape or become a thought leader in your industry, you need to find the activities that will bond you with people who will create the biggest impact.